Now you can switch from your current SSL Certificate provider instantly. If you hold a copy of an eligible competitor SSL Certificate, or have a valid SSL Certificate currently installed on your website, you may qualify for our Competitive Upgrade (CU) option. 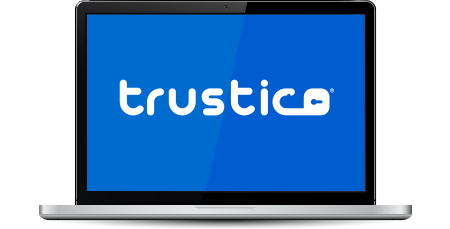 Regardless of whether your existing SSL Certificate is due for renewal - you should consider switching to Trustico® as we offer highly competitive pricing across our entire product range. We issue highly trusted SSL Certificates, ensuring you get higher conversions from your website. Switch from your existing SSL Certificate provider today and we'll provide a discounted SSL Certificate. As a bonus we'll add any remaining validity that you have on your existing competitor SSL Certificate up to a maximum of an additional 12 months. Please use the following ordering options to go directly to our fully automated ordering system. Our online ordering system will automatically check that an eligible competitors SSL Certificate is installed on your website. Alternately you are able to provide the SSL Certificate during the ordering process. It is recommended that you backup any existing competitor SSL Certificates whenever you begin a new installation. Your existing competitor SSL Certificate will continue to function as normal, it won't be canceled or revoked by Trustico® at any time. If you are looking to test our service before switching visit our GeoTrust® Free Trial SSL Certificate page. We'll add up to an additional 12 months existing validity to your SSL Certificate when you switch from qualifying competitors, such as GlobalSign®, Comodo® Group, GoDaddy® or Positive SSL absolutely free of charge. For example, if you have a competitor SSL Certificate with 7 months validity remaining, we'll issue a new SSL Certificate with additional bonus of 7 months validity, meaning it will be valid for 19 months. Our ordering system is completely automated. We will automatically attempt to connect to your webserver to verify that you are entitled to a discounted SSL Certificate. You should, where possible, leave your existing competitor SSL Certificate in place so the automated system can successfully connect to it and check for any existing validity. You will also have the opportunity to provide your existing SSL Certificate for validation, however, in some cases we may still be required to connect to your webserver to verify the validity of the SSL Certificate. If we are unable to validate your existing SSL Certificate via our automated methods you may be unable to use the Competitive Upgrade / Replacement (CU) ordering option, please Contact Us for further assistance.